Yesterday we discussed chetz חץ - arrow, so today we'll discuss keshet קשת - bow. The word also can mean arch and arc, and a kashat קשת is a bowman or archer. Steinberg, as we've seen in the past, claims that קשת comes from an earlier two-letter root קש, which means "strong and taut", and appears in other words like kashe קשה - hard, and kashuach קשוח - "rigid, cruel". However, Kutscher takes a slightly different approach. Similar to his explanation of the word delet, he writes that keshet actually has only two letters in its root - only the letters קש are radical. He claims that in Hebrew the tav serves to make the word feminine, but in Arabic a vowel was added to give the root three letters - קוס kaus. We find this root in the names of stars composing the constellation Sagittarius - the Archer: Kaus Media, Kaus Borealis, Kaus Australis. Aramaic followed a path similar to Hebrew. We find that קשת means "to shoot an arrow" - e.g. the Targum to Yechezkel 21:26. But we also find a slightly different form: קשט, with a tet instead of a tav. An example can be found in Yerushalmi Taanit 69b, and perhaps in Tehillim 60:6. But we are also familiar with the root קשט having another meaning: truth. We find this meaning in Hebrew once in the Bible, in Mishlei 22:21. But it is very common in Aramaic. Is there any connection between the two meanings? Jastrow provides one possible explanation. He writes that the original meaning of קשט was "to be straight, strong", and it developed to "to go in a straight line, to shoot forth". He also gives "straightness" as a synonym for "truth". Steinberg has a somewhat different approach. He writes that the basic meaning of קשט is "to be prepared". An arrow is made ready, drawn in a bow. In Hebrew we find the word nachon נכון - meaning "prepared" and also "correct", and from here "truth". He gives the example from Shabbat 153a - where the guests for a meal prepared themselves: שקישטו את עצמן לסעודה. It would seem that from this sense of "to prepare", "to arrange (according to Klein)", we get the more modern sense of לקשט meaning "to decorate" and kishut קישוט meaning decoration. 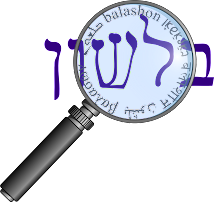 Klein writes that the word for jewelry - תכשיט tachshit - is "a doublet of תקשיט" and also originally meant "decoration".